That's right, Wii U co-op games! Oh, look at that. A bunch of Wii U and Nintendo 3DS games are in a bundle! 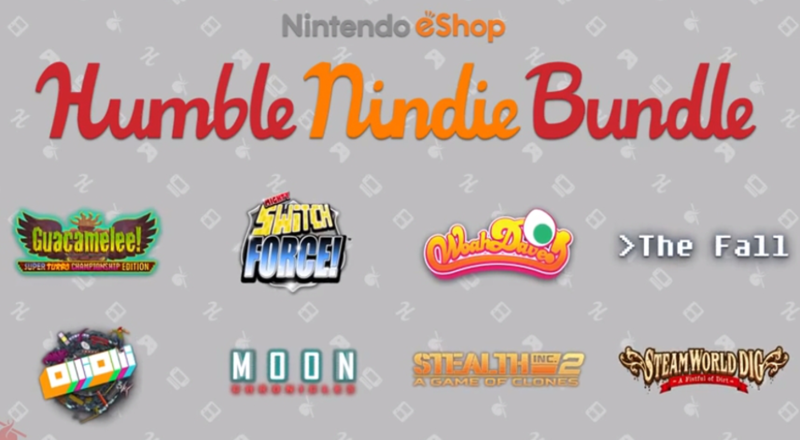 The Humble Nindie Bundle sticks eight games together for a pay-what-you-want price tag and delivers downloads for both of Nintendo's current-gen systems. Only two of the games have co-op, but cheap Wii U games are cheap Wii U games, yeah? This little package would cost you $88 to buy the games individually. Now, you can make off with three of the games for as little as $1 or all eight for a paltry $10. Guacamelee! Super Turbo Championship Edition is available for whatever you feel like paying, but to grab the other co-op game, Stealth Inc 2, you'll need to pay more than $10. Both games are for Wii U and support local co-op for two players. The single player games in the Nindie Bundle are nothing to turn your nose at, either. Completing the lineup are Woah Dave!, Mighty Switch Force!, and Moon Chronicles for the 3DS, The Fall for Wii U, and OlliOlli and SteamWorld Dig for both systems. It isn't every day that the Humble folks roll out a stellar indie game deal for consoles. You've got two weeks and counting to take advantage of it! Look Behind You! It's Stealth Inc 2 Going Multi-platform! Page created in 1.2530 seconds.